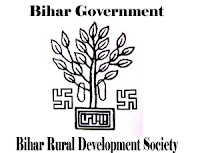 BRDS District Program Officer, Accounts Assistant Recruitment 2018 2019 | BRDS invites Online Application for the post of 278 District Program Officer, Accounts Assistant Posts. Aspirants Apply Online through Official website www.sids.co.in | Opening Date and time for Submission of Application is 29.09.2018 and end up by 22.10.2018. You can check here BRDS Recruitment Eligibility Criteria, Pay Scale, Application Fee/Exam Fee, BRDS Selection Process, How to apply, BRDS Syllabus, BRDS Question Paper, BRDS Admit Date Release Date, BRDS Exam Date, BRDS Result Release Date & other rules are given below... Aspirants are requested to go through the latest BRDS job recruitment 2018 fully, before applying to this job. As per the recent BRDS notification 2018, the eligibility details like Educational Qualification & Age Limit for the District Program Officer, Accounts Assistant job has given below. CA/MBA-Finance or PGDM-Finance/ M. Com with at least 8 years of relevant professional work experience in public finance management in Government(s)/ semi-government agency/ banking institutions/ reputed Financial firms/ reputed non-government organizations/ Pvt. Organisations. Proficiency in Tally Based accounting. Postgraduate-Diploma/ Postgraduate Degree in Commerce/ Finance/ MBA Finance/ Operation Management/ Supply Management with at least 8 years of relevant professional work experience in procurement management in Government(s)/ Development Project/ Pvt. organization. MBA/ PGDM with specialization in Human Resource Management/ Personnel Management/ Postgraduate Degree in Labour and Social Welfare with At least 8 years of relevant professional work experience in field of HR and Facility Management in large scale poverty reduction program/ MGNREGA/ rural development projects/ livelihoods programme/ project run by Government/ reputed NGOs/ Pvt. Organisation. Postgraduate Diploma/ Postgraduate Degree in Rural Management/ Rural Development /Development Studies/ Postgraduate Degree in Economics/ Statistic/ MCA with At least 8 years of relevant professional work experience in Monitoring & Evaluation of large-scale poverty reduction program/ MGNREGA/ rural development project/ livelihoods programme/ project run by Government/ reputed NG0s/ CSR initiatives/ Pvt Organisation. Postgraduate Diploma/ Postgraduate Degree in Mass Communication/ Journalism with at least 5 years of relevant professional work experience in development and execution of communication (IEC) strategies in large scale poverty reduction programs/ MGNREGA/ rural development projects/ livelihoods programme/ project run by Government/ reputed NGOs/ Pvt. Organisation/ CSR initiatives. LLB/ Company Secretary with at least 5 years of relevant professional work experience in arbitration or legal counseling as an individual consultant or as an employee of Govt./ Semi Govt./ Private organizations. Postgraduate Diploma/ Postgraduate Degree in Rural Management/ Rural Development/ Development Studies/ Postgraduate Degree in Development Economics/ Social Work/ Statistics with at least 4 years of relevant professional work experience in M&E of large-scale poverty reduction program/ MGNREGA. CA/ ICWA with at least 4 years of relevant professional experience in auditing large-scale poverty reduction program/ MGN REGA/ lAY(P MAY)/ rural development projects/ livelihoods programme/ project run by Government/ reputed NG0s/ Pvt. Organisation/ reputed financial firms/ CSR initiatives. CA Inter with Graduate Degree in Commerce with at least 3 years of professional work experience in accounting, bookkeeping of large-scale poverty reduction programme/ MGNREGA/ IAY (PMAY)/ rural development projects. MCA or B.Tech/ B.E. in Information Technology/ Computer Science with at least 3 years of professional work experience in handling MIS of large-scale/ Projects/Schemes/ Programs preferably in Government department(s). MCA or B.Tech/ B.E. in IT/ CS with at least 2 years of professional work experience in handling MIS of large-scale Projects/ Schemes/ Programs preferably in Government department(s). Graduate Degree with at least 2 years of relevant professional work experience in large scale poverty reduction program/ MGNREGA/ IAY (PMAY)/ rural development project/ livelihoods programme/ project run by Government/reputed NG0s/ Pvt. Organisation/ CSR initiatives. MBA/ PGDM/ MSW/ Postgraduate Diploma/ Postgraduate Degree in Rural Management/ Rural Development/ Development Studies/ Postgraduate Degree in Public Administration/Public Policies with at least 7 years of relevant post qualification work experience in large scale poverty reduction programme. Postgraduate Diploma or Postgraduate Degree in Finance/ Commerce/ MBA finance or PGDM-Finance/ CA (Inter)/ ICWAI (Inter) with at least 5 Years of relevant professional work experience in Financial Management including Funds Management, IT bases accounting systems and financial reporting. Postgraduate Diploma or Postgraduate Degree in Finance/ Commerce/ MBA finance or PGDM-Finance/CA (Inter)/ICWAI (Inter) with at least 2 Years of relevant professional work experience in Financial Audit and Internal Audit. Postgraduate Diploma or Postgraduate Degree in Finance/ Commerce/ MBA finance or PGDM-Finance/ CA (Inter)/ ICWAI (Inter) with at least 2 Years of relevant professional work experience in Financial Management and Audit. Proficiency in Tally Based Accounting. B. Com with at least 2 years of relevant professional work experience. B. Com with at least 2 years of relevant post qualification work experience. Proven Proficiency in Tally Based accounting. MCA/ B.Tech/ B.E in IT/CS. With at least 2 years of relevant professional work experience of handling MIS of large-scale Projects/ Schemes/ Programs preferably in Government department(s). MCA/ B.Tech/B.E in IT/ CS. With at least 2 years of relevant professional work experience of handling MIS of large-scale Projects/ Schemes/ Programs preferably in Government department(s). BRDS may follow the following process to select the candidates. 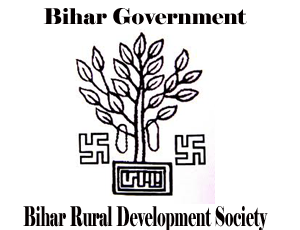 How to apply BRDS District Program Officer, Accounts Assistant Vacancy?